One amazing sale you don't want to miss!!! 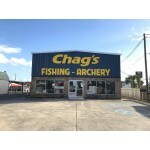 Come join The Crappie Psychic and other great vendor/Reps at Chag's Annual Tent Sale !!!! Don't forget about Guide Night !